Two friends from Drinkbox Studios have branched off to pursue a passion project involving a dinosaur petting zoo. While Drinkbox Studios is currently hard at work on the anticipated Guacamelee sequel, a pair of the studio's developers have also embarked on a personal passion project involving dinosaurs. WashBear Studio is the new indie studio founded by Drinkbox's Chris McQuinn and Mayuran Thurairatnam and their first project is Parkasaurus. 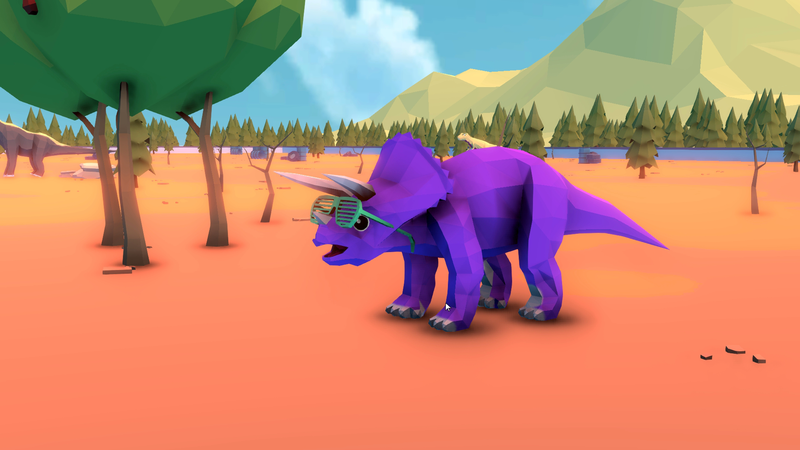 Parkasaurus is classified as a zoo management game, but the zoo's denizens are all terrifying (well, mostly terrifying) dinosaurs. The idea is to build and maintain a dinosaur zoo, creating it from the ground up. Players must create holding areas for their animals, make their zoo an attractive destination for customers, manage the zoo's finances and growth, and find new attractions by retrieving entirely new eggs from ancient times. And because life always finds a way, players must also deal with the occasional dinosaur breakout. A first-person mode allows players to wrangle up any wayward dinos and send them back to their holding areas before they decide to munch on any visitors. Customer casualties are bad for business, after all. Parkasaurus is aiming for a Spring 2018 arrival on Steam Early Access. For more, check out the trailer below. Oddly this has a Middle Manager of Justice vibe. Maybe it's the art style. I freaking loved Jurassic Park: Operation Genesis, so I say bring this on!